Are you looking for a new mobile game to play this weekend? As usual, there are plenty of new options for you to try, including The Secret Life of Pets: Unleashed from Electronic Arts. The match-three puzzle game is based on the upcoming film The Secret Life of Pets. Zynga also released a match-three puzzle game this week: Ice Age: Arctic Blast. The game stars characters from all five films in the Ice Age franchise, including Ice Age: Collision Course, which debuts in theaters this summer. Elsewhere, Yodo1 Games and Featherweight Games released Rodeo Stampede this week. The animal collection game challenges players to ride and tame a variety of animals to fill their zoos. Finally, Pixowl launched The Sandbox Evolution, a world-building game which allows users to create worlds by manipulating over 160 elements, such as fire, water and electricity. If you’re looking for something else to play, here’s a look at some of the additional mobile games released this week. Tennis Bits (Free on iOS) – This tennis game from PlaySide Studios allows players to challenge a variety of AI characters in more than 40 tournament levels, as well as in an endless mode. During games, players tap and hold on the left and right sides of the screen to move their characters and aim their shots. Users can unlock new playable characters as they progress. As characters are used in matches, they earn experience points and will level-up over time. The higher a character’s level, the higher their “PR” rating, which allows them to take on more challenging opponents. Players can also unlock new gear for their characters, which can impact their PR ratings. Marina Militare: Italian Navy Sim (Free on iOS, Android) – This air and naval simulation game from RORTOS allows players to take control of Italian ships, planes and helicopters in a variety of missions inspired by real Italian scenarios. The game takes place across three simulation areas: Taranto, La Spezia and Catania. Marina Militare: Italian Navy Sim supports Google Cardboard headsets for playing in virtual reality. LightEaters ($3.99 on iOS) – This level-based side-scrolling puzzle game from BrightLocker and Sperasoft challenges players to help a child explore more than 30 dark levels by using a flashlight to navigate environments. Users may need to use items such as elevators, ladders and switches to find the exit key and exit door in each stage. Levels are also filled with Light Eater enemies, which will become aggressive when they see players’ flashlights. If a Light Eater approaches the child, it will drain the flashlight’s battery. Gamers can turn off their flashlights to pass by these enemies, but they will lose their “nerve” over time when the flashlight is turned off. Gamers can recharge their nerves by turning on their flashlights. If players need help completing a stage, they can activate hints, which may reveal the level’s complete layout on a map, or reveal the location of the exit door or exit key on the map. 5About: Crazy Facts (Free on iOS) – This multiplayer trivia game from 5About challenges players to decide whether 10 facts in each round are true or false. Gamers can play against random opponents, or they can challenge their friends to games. In each round, a player’s turn lasts until they make a mistake. Once they make a mistake, the player must wait for their opponent to take their turn before they can play again. 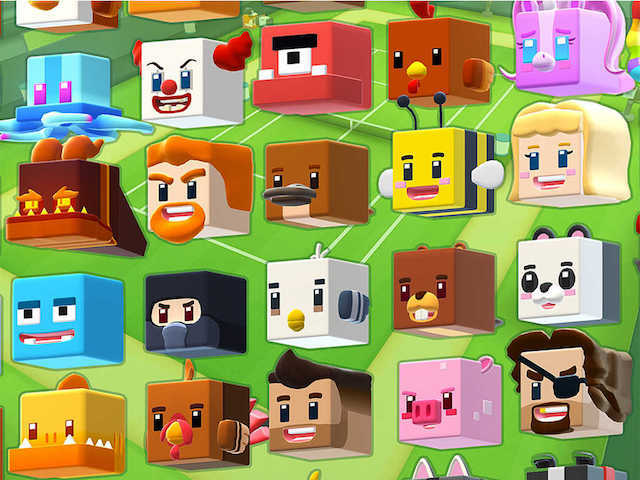 5About: Crazy Facts also allows users to create and share their own facts within the game. Soccer Hit (Free on iOS, Android) – This soccer game from Digital Melody allows players to pass the ball between teammates, or take shots at the goal, by dragging their fingers on the screen to aim their shots, and letting go to kick. The game includes more than 200 national teams, and it allows users to play games in three different modes: Quick Match, Career and Cup. Users can unlock new uniforms and ball designs as they play.